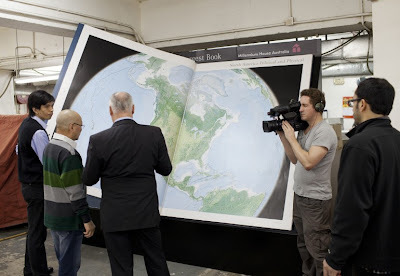 This is the Earth Platinum Atlas or also known as world's biggest atlas, it measures about 6 ft (1.8 m) by 4.5 ft (1.4 m) with double page spreads, it consist 128 Pages 6 ft tall pages and weighing about 150kg(330lbs). With this big size you can see the surface of the Earth to a frankly-ludicrous level of detail. This biggest Atlas was published by Sydney-based Millennium House. Earth Platinum Atlas was put together in just 4 years by an international team of 88 cartographers. That's slightly at odds with the information available from London's Altea Gallery where edition number 2 is up for sale. 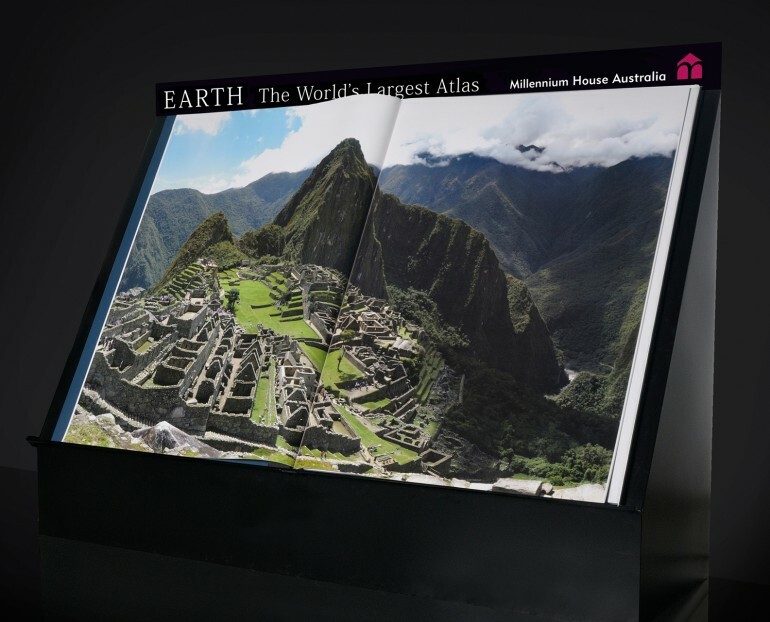 According to its information the Atlas is the result of 25 years of work. Either way, the project is a testament to Millennium House founder Gordon Cheers, who oversaw the project. The 30 or so photographs contained inside must be one of the book's most compelling attractions. The largest have been created using Gigapan photography. A spread of the Shanghai skyline is comprised of 12,000 individual photos and is, according to the Altea Gallery, the largest photograph in the world. 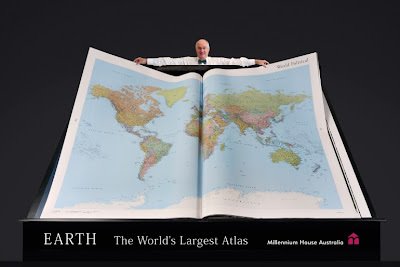 Though yet to be made official, the Earth Platinum Atlas is set to break the official record for the world's largest Atlas - a record that has stood since 1660, held by the Klencke Atlas housed at the British Library. Only 31 copies of the Earth Platinum Atlas have been put together, which is hardly surprising when one considers they have to be printed in Italy and bound in Hong Kong. It sounds as if some copies have been snapped up by customers in the Middle East.